Register today for TrainingIndustry’s upcoming webinar, and you’ll be entered to win one of five copies of Float Managing Director Chad Udell’s latest book, Learning Everywhere: How Mobile Content Strategies Are Transforming Training. 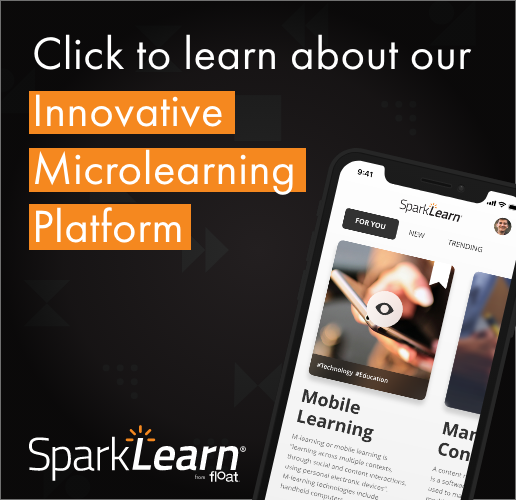 The webinar of the same name will focus on what it takes to plan, design and implement effective mobile learning within your organization. Chad will provide practical advice and real-world examples of mobile experiences that increase performance. Let’s face it: by being on the road, your sales team needs round-the-clock access to short, bite-sized training. Mobile devices are great for this, offering the capability for you to create highly relevant, memorable and easily accessible experiences. Additionally, Hewlett Packard’s learning program manager, Carol Cohen, will cover video training modules for sales reps at their moment of need. This webinar takes place at 12 p.m. CT, Thursday, July 18. Any idea if this session will be using the ‘chat’ functionality or not? We’re not sure yet. I’ll pass along an update here if I find out beforehand.